This post is sponsored by Tyson Foods Inc. but the content and opinions expressed here are my own. 3. 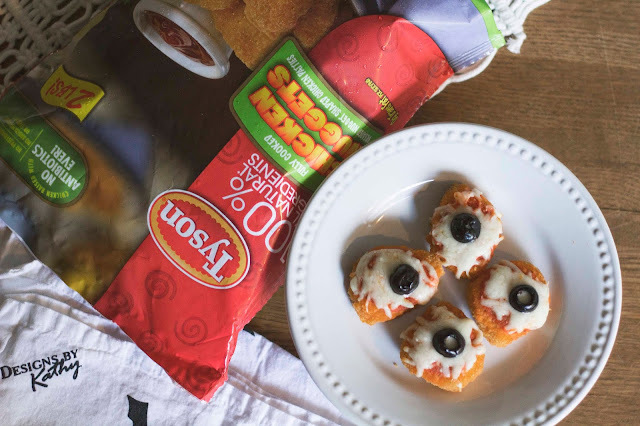 Sprinkle mozzarella cheese on each nugget. 4. 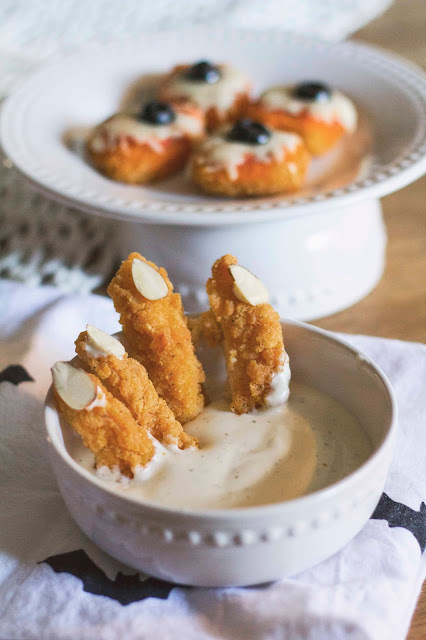 Spread ranch dressing on the back of each almond slice and attach to the end of a chicken strip. 5. 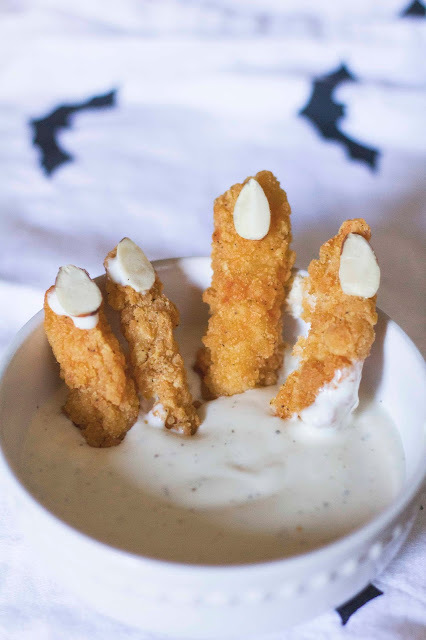 Arrange fingers in a bowl of ranch dressing for dipping. 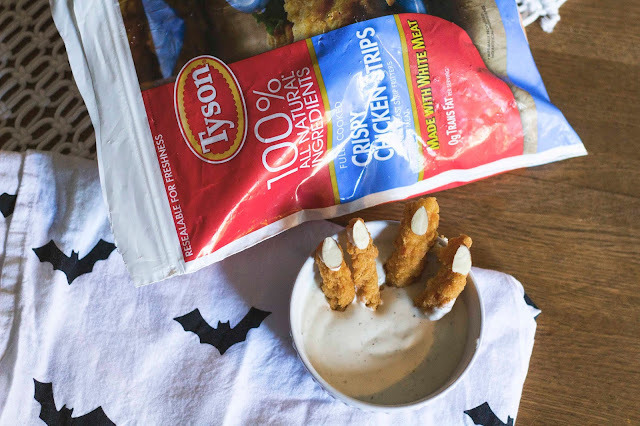 Tyson® Chicken products, along with State Fair® products (think mummy corndogs!) 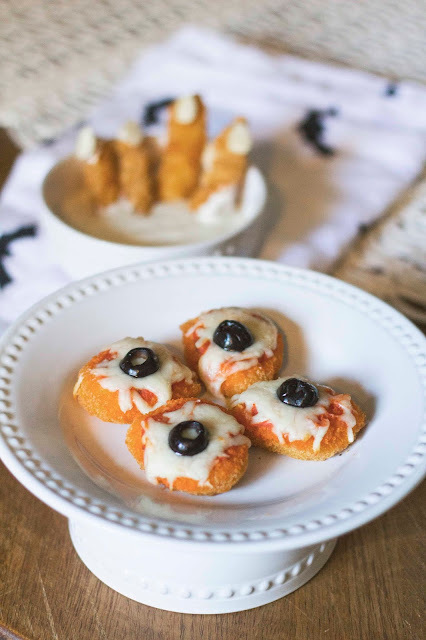 and Hillshire Farms® Products are available at Walmart and make Halloween food prep super easy and delicious. Walmart even has grocery pick-up which is super convenient for busy families planning parties. 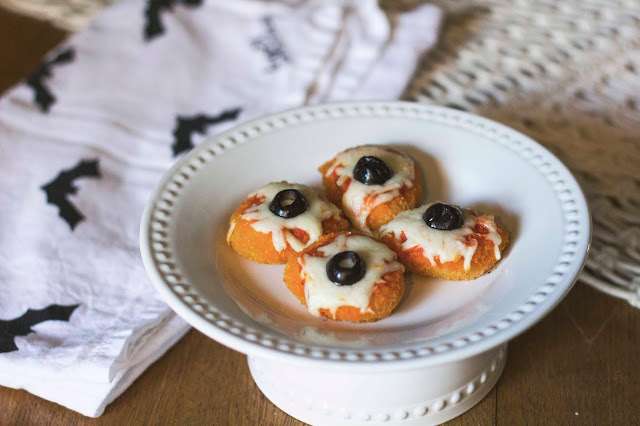 For even more spooky Halloween recipes check out FeastOnFrightBites.com!